Jose Mari Martinez, ousted president of the Philippine Football Federation (PFF) but whose presidency was upheld by FIFA on the basis of a technicality, has got to be the most maligned personality in Philippine football circles during the past week. 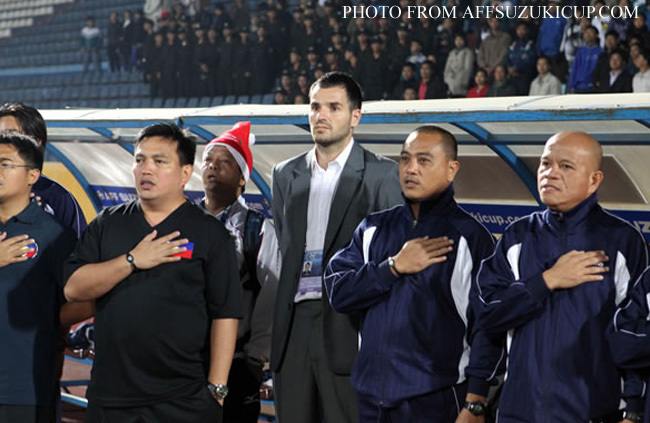 This was on the claims that, first – for all its recent successes – the national squad had not received a penny as one would have expected from the federation; and, second, as president, he meekly accepted the ASEAN Football Federation’s ruling that we do not have – in this country – a football stadium that qualifies to host an event as prestigious as the Suzuki Cup’s semi-finals. I believe the ill-will is exacerbated by perceptions that Martinez is accountable for the missing monies of the PFF, the reason for which he was – in a board resolution – removed from the presidency. I will not dwell on this because I am only vaguely familiar with the issue. Instead, I wish to point out that the stadium guidelines were set long before our players landed in Hanoi for the Suzuki Cup. In other words, from the beginning, there was no chance for us to host any of the tournament’s matches. If everyone was being perfectly honest, then the truth of the matter is that most of us in this country who follow the beautiful game thought our national team was in Hanoi simply to make up the numbers. What I cannot understand is why Martinez had to agree to play both semi-final matches in Jakarta! Economics aside, a neutral venue is more logical and favorable to the chances of our national team. 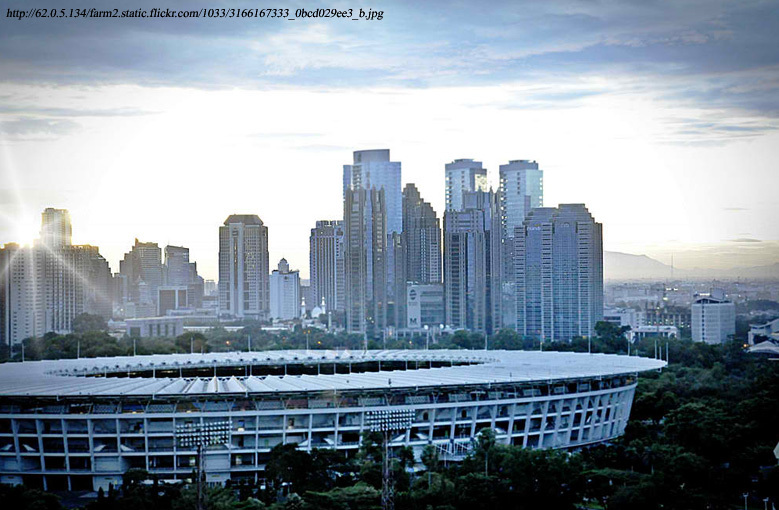 Assuming that Indonesia will benefit from playing two home matches – and this is a very valid assumption considering that the country, as host, topped its qualifying group – then the idea should have been to at least deny it that benefit in one of the matches, even if that match is not played here in the Philippines. 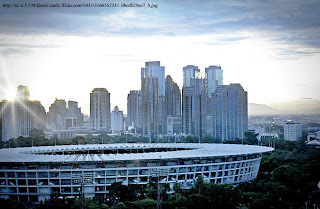 While two matches in Jakarta will probably yield more revenues than if one match was played in a neutral venue, what will the earnings be for if interest quickly fizzles out if our team is not successful? I have been into football for almost half a century, and in all that time, it is only now that we have a fairly credible chance of actually winning something. I think we ought to take that chance with both hands and not even think of revenues! Success will generate more interest and any losses in revenue must be thought of as investment for the future. Truth be told, we do not have an international quality stadium because we have never really needed one until we qualified for the Suzuki Cup semi-finals! This is why success in the Suzuki Cup ought to be the priority. I do not have to list success stories in sports that have spawned new generations of athletes to emphasize what winning the cup can do for football in this country. Having said all these, I am not totally convinced Indonesia has a free ticket to the finals. First of all, despite our own national players’ burning desire to play in front of their countrymen, I must point out that all of our recent successes had been achieved away from home. While – generally – playing in the home court is thought of as an advantage, those in sport also know there is such a thing as home court disadvantage. I have seen this time and again within the microcosm of the high school football teams that I used to coach. Because the league we played in required us to play all our games away from home, the few home matches we had outside the league were actually trickier when I come to think about it. It all really depended on the collective psyche of the current team and how much mental toughness there was in each and every one of the players. I had had teams that had totally enjoyed playing in front of family and friends; and those that got nervous or – worse – showboated. The energy of the home crowd is also something to contend with. If things are going well on the court, then the energy is positive and spurs the team on. When things do not go well, the energy becomes anxiety which is, likewise, communicated almost psychically to the players on the court. The players, in turn, become edgy and error-prone. This – in a nutshell – is the sociology of the home crowd. We used to host, in the school arena, a semi-professional basketball team called the Batangas Blades in the now-defunct semi-professional Metropolitan Basketball Association. People from all over the province traveled to fill the arena in each of the team’s first few games. A rapturous first home win was followed a series of nervous performances that inevitably ended up in painful losses. Attendance started falling and the team, when at home, played with fear. Ironically, the team had more successes on the road. Those of you who saw the Philippines play against Vietnam last week could not have failed to notice how quiet the capacity crowd had become after Phil Younghusband scored our second goal. You also could not have failed to notice the anxiety etched on the Vietnamese players the longer the match went; and particularly after Greatwich had given us the unexpected lead. 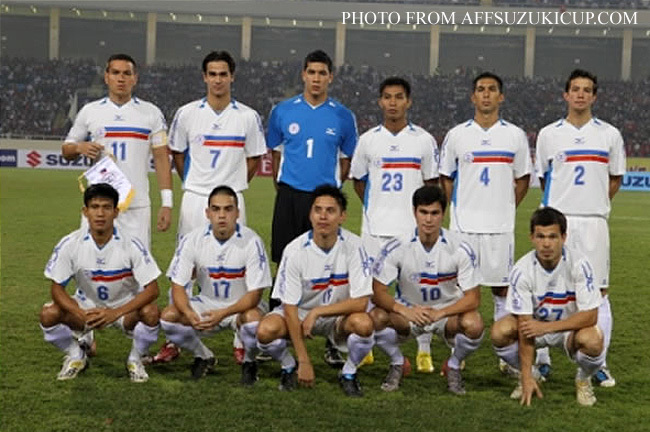 I know our boys are upset at being denied the privilege of playing in front of fellow Filipinos. I would like to point out, though, that playing two matches in Jakarta may actually work in their favor. Nothing would give me more pleasure than seeing a packed Senayan Stadium silenced by a Filipino goal! Being robbed of a home match may be heart-wrenching for the players and all of us who follow their matches; but win this tie and – one day in the future – a Philippine team – maybe not even the current one – will be playing in front of an adoring crowd in a packed international-quality stadium. I hope I am still alive to attend that one!